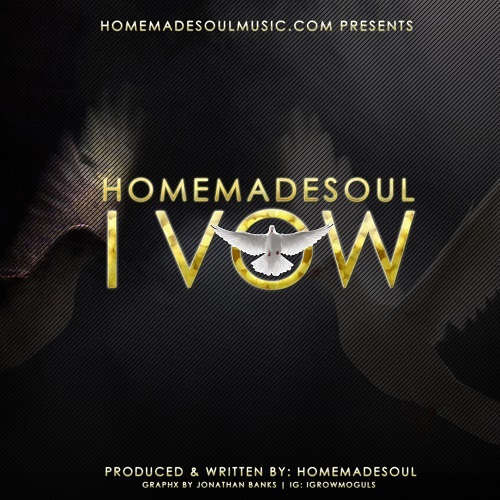 R&B/Soul artist Homemadesoul from Philly but resides in Hampton Roads, Va area offers his latest single “I Vow”. This record is love in it’s purest sense, when Homemadesoul wrote it he said “my mission is to write the greatest love song” (for his future wife whom he married). He truly came from the gut with this one and I think you’ll hear that sincerity on the record.